Dorothy’s life began in the fields of rural Pennsylvania where she grew up on a small family farm. As the first of four children, two of whom were significantly younger than her, much of the farm work fell on her shoulders. She brought the horses into the barn, picked weeds in the corn fields, and even learned how to shoot and hunt. It was small, humble beginnings for what would be a life filled with adventure and service to others. “When you work on a farm your world isn’t really big,” she says. So, when she was given the opportunity to leave the farm, she said to herself, “Why not?” The United States had entered World War Two, the government needed factory workers, and Dorothy was ready to get to work. She packed her bags, left the farm, and became a Rosie the Riveter in a nearby factory. A new world opened up to her, with a paycheck to go with it, when she left the farm. Even more attractive than a paycheck, however, was the opportunity to meet new people. As she reminisces on her life she talks more about the people she met while working than the work itself. She talks about a German woman she befriended early into her career, whose son later married her daughter, and another woman with whom she worked side by side for 15 years, who still sends her Christmas cards. That’s what Dorothy loved most about having a job—the people. That’s why she kept working even after the war ended. During the war she welded walkie-talkie pieces, and afterward she started working at a glass factory. She didn’t stay in Pennsylvania for her entire career though. 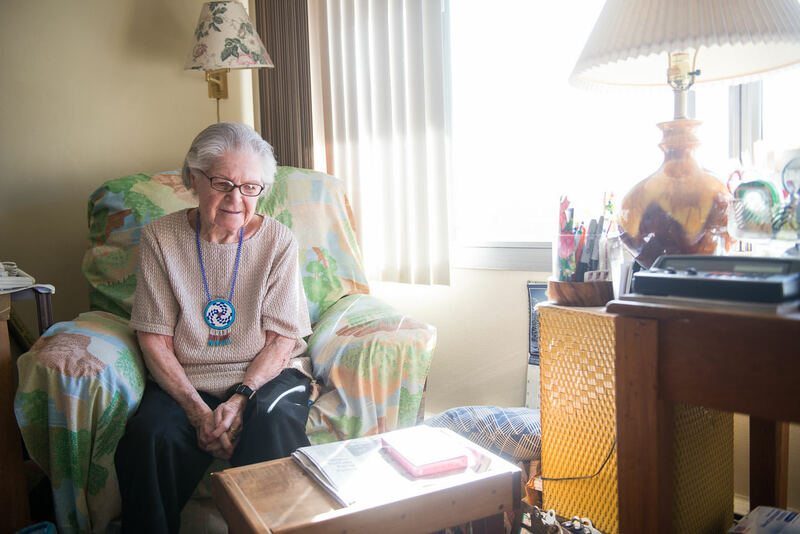 The day after her youngest daughter graduated from high school, Dorothy packed up again, bought a mobile home, and drove it to Chicago where she knew they were always looking for nurses. Dorothy’s world and connections continued to grow. From Pennsylvania to Chicago, and beyond, Dorothy always valued her friendships. 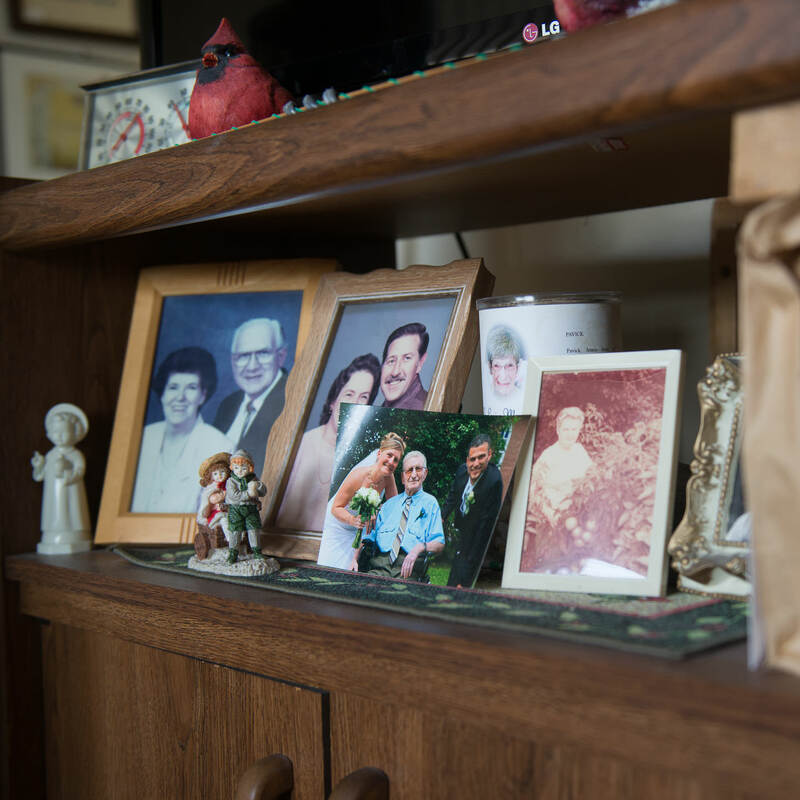 She nurtured each and every one of them, and throughout the years, she welcomed everyone as family. Many people even adopted her as their own surrogate mother. In Chicago Dorothy met Ruth, a country girl like Dorothy, who had also just arrived in the city. She was a young mother, and so far from home and her own mother. Luckily, her mobile home was right next door to Dorothy’s. Ruth didn’t know it, but she had hit the jackpot. Whenever she had a cooking or parenting question, she would pop on over to Dorothy’s place. Dorothy became like a mother to her. 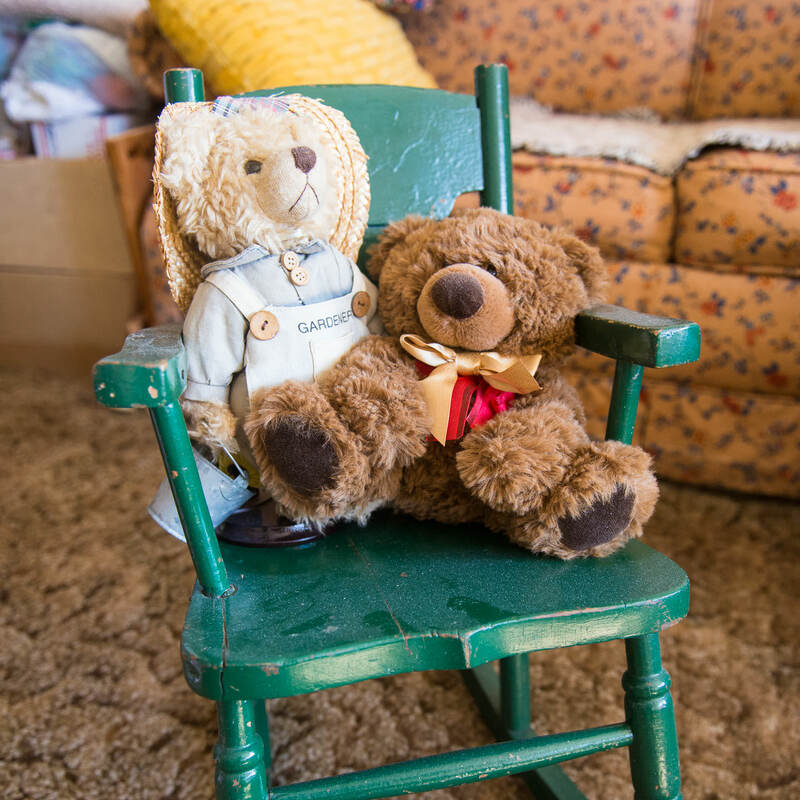 Dorothy’s friendships have lasted her a lifetime, and she is very proud of that fact. Ruth, who now lives in Texas, recently called Dorothy to let her know that she knew her 100th birthday was coming up, and that she would be there. Mary-Ann and her daughters call Dorothy “Mom” to this day. “I feel very blessed that these people still care about me and what I’m doing,” she says. After so many years of others relying on her, Dorothy, almost 100 years old, finds herself able to do less than she used to and is having to increasingly rely on other people. 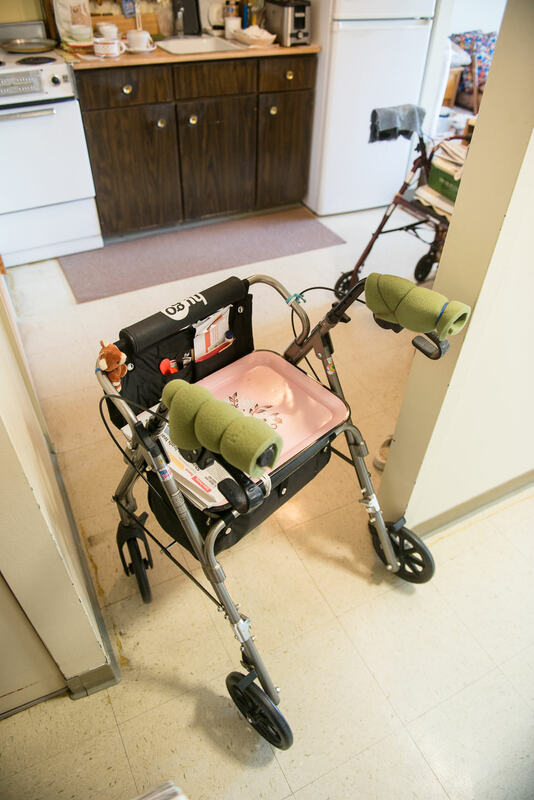 She admits that she’s not able to get around as easily, and can’t see very well anymore–although that doesn’t seem to be the case when she’s crocheting or zipping around her room with her walker. 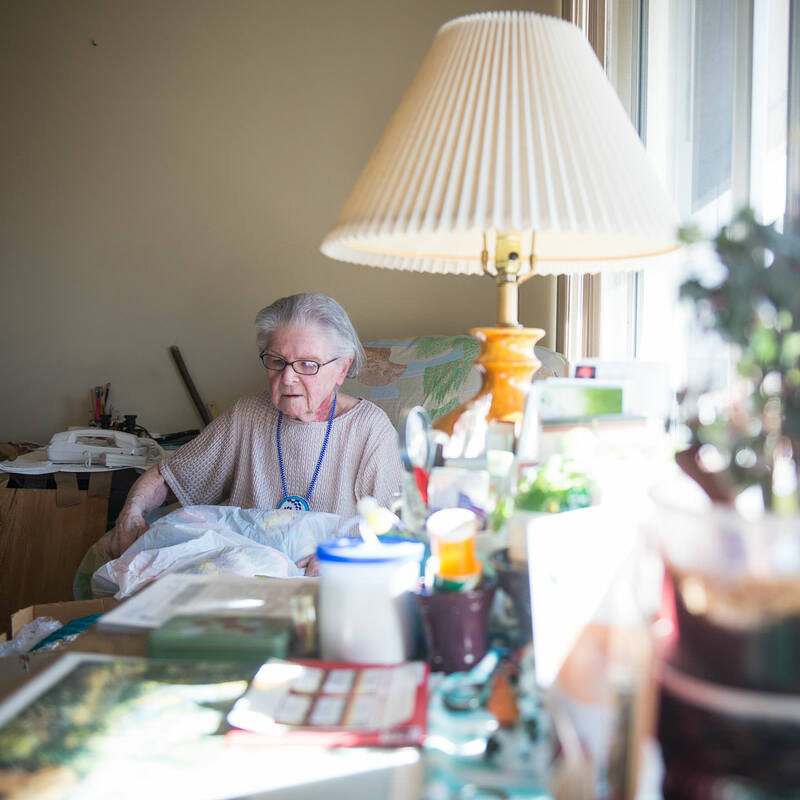 Nevertheless, she has not come to the point in her life where she is willing to relinquish the last of her independence by moving into a nursing home. Currently at an independent living community, with her own room, she’s used to being able to do what she wants when she wants. “If I wanted to do something I figured out a way to do it,” she says. And that is exactly what she’s done when it comes to accomplishing her daily tasks. She can’t go to the grocery store anymore, so she contacted Boulder County CareConnect to have her groceries delivered through Carry-Out Caravan, a free, volunteer-powered service for seniors in the community. It’s a lifesaver for her because it solves the challenge of having reliable access to food, yet allows her to remain in control of what she buys and eats. It’s more than just getting groceries delivered, however. As it was during her working years, her favorite thing about Carry-Out Caravan is the people. She has less contact with people these days, so she looks forward to connecting to the volunteers who help her every week with her groceries. She loves getting to chat with them, both on the phone while placing her order, and later when her groceries are delivered. 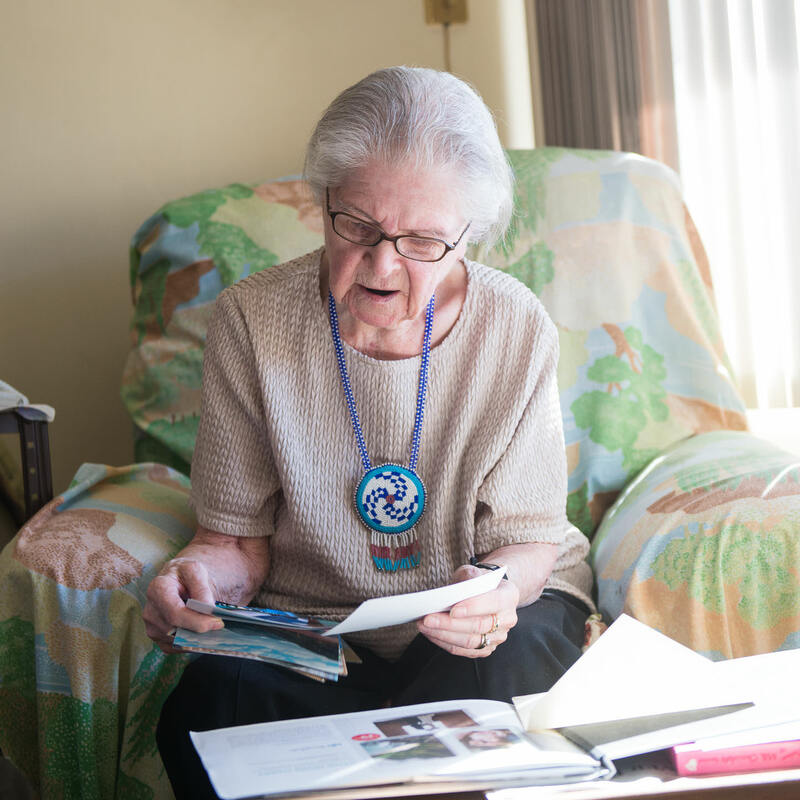 And after a lifetime of adventures, she has plenty of stories she loves to share, and the volunteers love to listen. 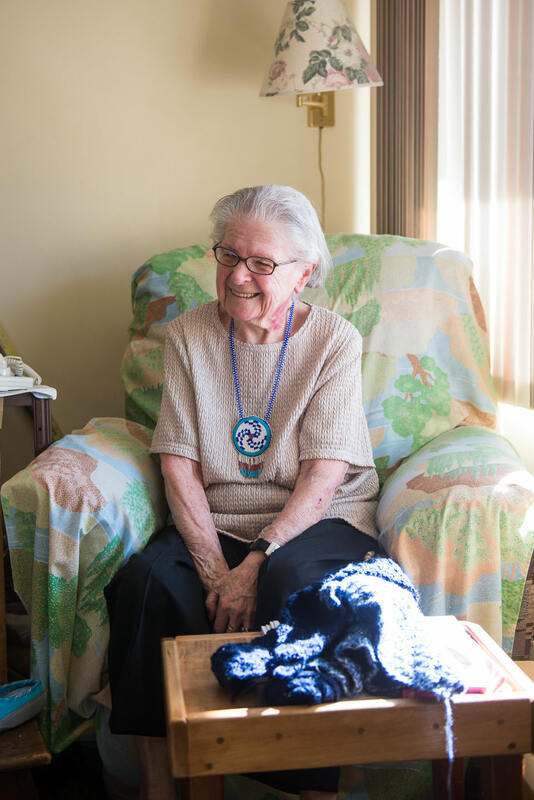 They enjoy connecting on a weekly basis with Dorothy, and always mention their conversations with her as one of the highlights of their volunteer work. Like many people she’s met in life, BCCC has become like family to her and she continues to be like family to those around her. And throughout her life, Dorothy has undoubtedly loved and been loved by many. Sign up for our programs to receive support from, and friendships with, people in your community who love to serve.